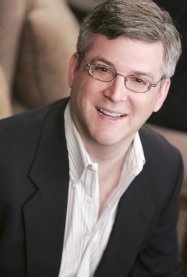 Louis Berman is a serial entrepreneur who co-founded four different technology firms and was employed as a CTO at GiftCertificates.com and Kideo.com. He currently serves as a Cloud Solutions Architect (CSA) at Microsoft. Mr. Berman developed the very first global-scale Content Delivery Network (CDN) deployed on Azure—predating Microsoft’s own offering by some 19 months!—plus three different automated trading platforms, a 3,200-core HPC cluster that delved into crop genomics—the largest RDMA-style cluster ever fielded in the Azure cloud up until that point, in late 2016—and countless other projects both on and off the cloud. Mr. Berman currently serves as CSA for one of the largest Azure customers in the world, as measured by monthly spend and breadth of usage. As a speaker, Mr. Berman has presented on a variety of technical and scientific topics. Recent presentations include “Zero to [Azure] DevOps” for Philly Code Camp, “Lap Around Serverless” for Microsoft’s DataFest, “Batch Processing in Azure” for Microsoft’s TechReady and “ScopeSeeing: A Lifelong Quest to Visit The World’s Greatest Telescopes” for the Northeast Astronomy Forum (NEAF); the world’s largest astronomy event. An avid astronomer, Mr. Berman led the very first visual observation of Eris—the largest dwarf planet in our solar system—and is the president of the Delaware Valley Amateur Astronomers. A happily expatriate New Yorker, Mr. Berman lives on the outskirts of Philadelphia with his lovely and talented wife, set and costume designer Marie Anne Chiment.